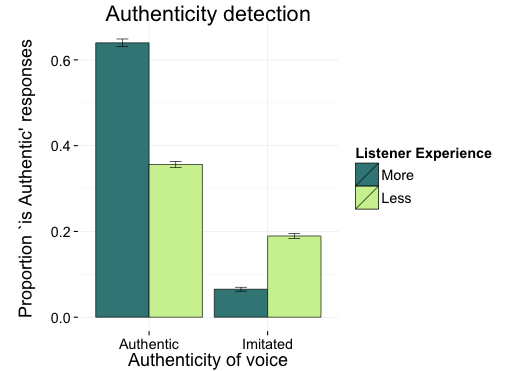 My research takes the position that listeners are sensitive to patterns of covariation in speech —that knowing these subtle patterns is part of what it means to truly know a language. even if our expectations are based on stereotypes rather than authentic experience (McGowan, in press). 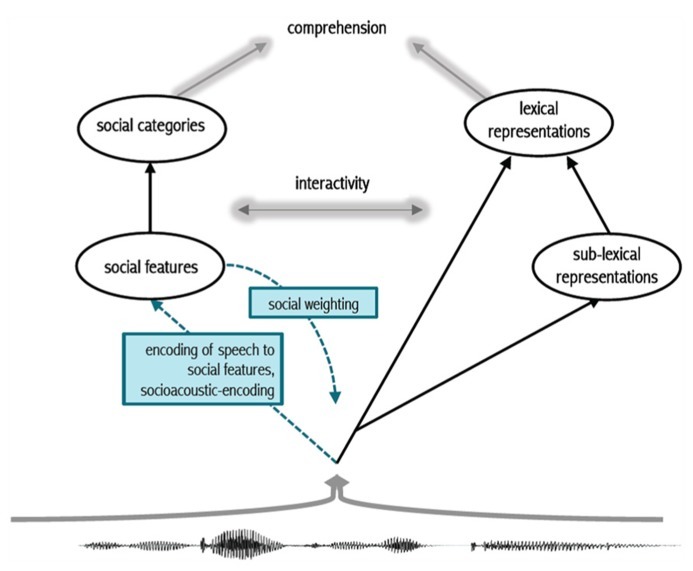 In Sumner, Kim, King, and McGowan (2014) we propose a model (above) of how the linguistic and the social aspects of speech interact to support perception. 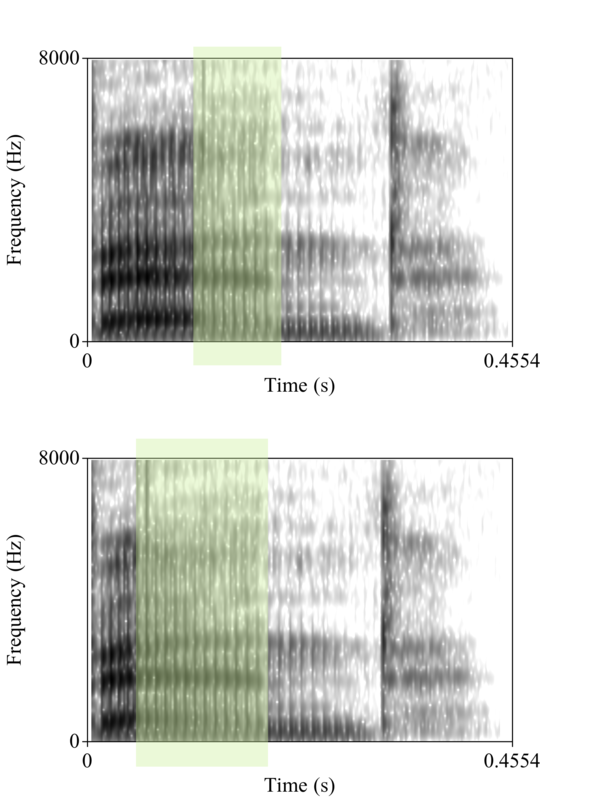 We propose that listeners process both phonetically cued social information and phonetically cued linguistic information prior to word recognition and that these dual routes can interact. 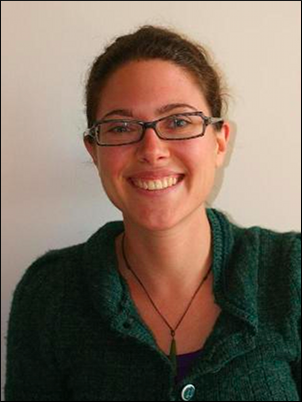 So does all this knowledge and sensitivity only apply to social variation? 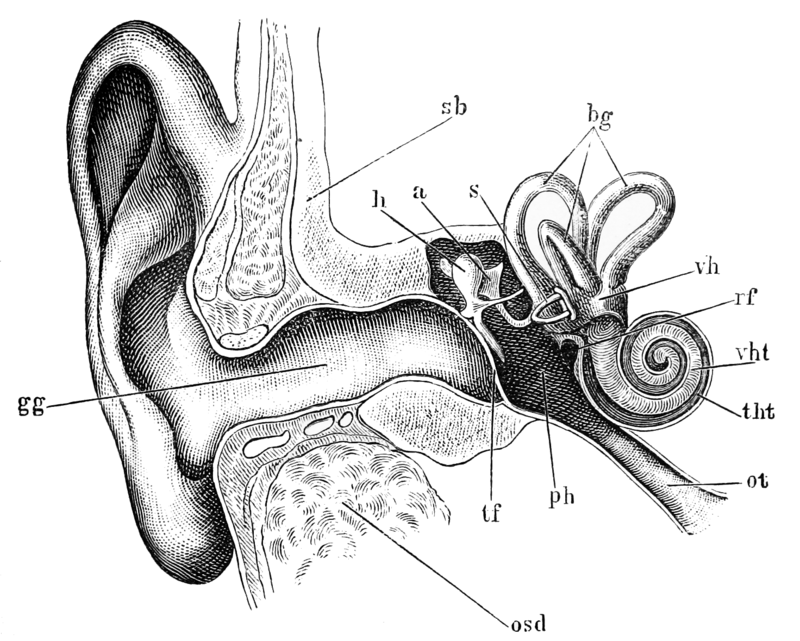 First, some quick background on how sounds like [p], [t], and [k] differ from sounds like [b], [d], and [g] at the beginning of English words like pit and bit. What word is this native American English speaker saying? 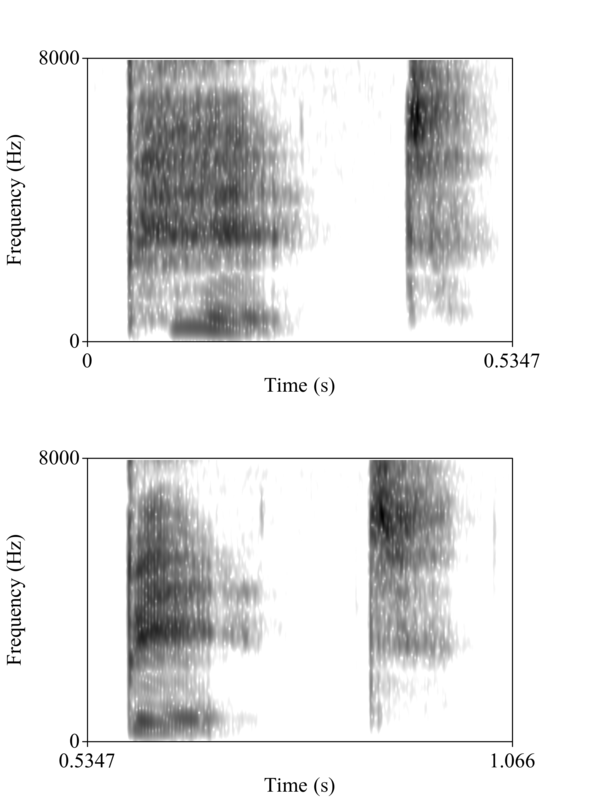 The image to the left is a spectrogram (frequency analysis over time) of the word pit. Hear the puff of air at the beginning? It is highlighted in blue in the spectrogram. Your browser does not support the audio element. pit and bit both start with the lips completely closed. One of the main differences between them is the duration of the puff of air, this duration is called VOT (voice onset time). Your browser does not support the audio element. At least in American English, that puff of air is so important that cutting it out of pit (that first sound you played) results in a word that sounds a lot like bit —though probably with a funny [b], and that funniness is every bit as interesting and important as the change from [p] to [b]! 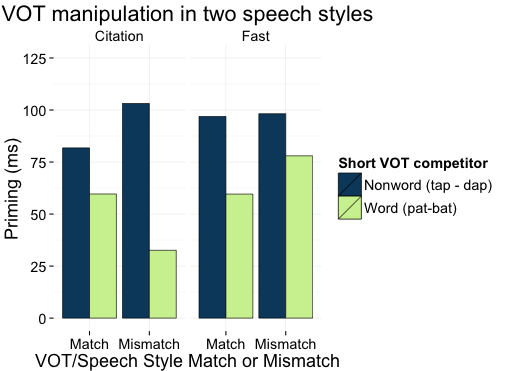 In fact, removing most of the VOT from [p], [t], and [k] words makes them less useful to listeners (shortest green bar) in slow (Citation) speech, but if the rest of the word is spoken quickly the short VOT sounds fine (Fast speech, on the right) (abstract). Another covarying feature is the way vowels before nasal consonants in English tend to be nasalized. 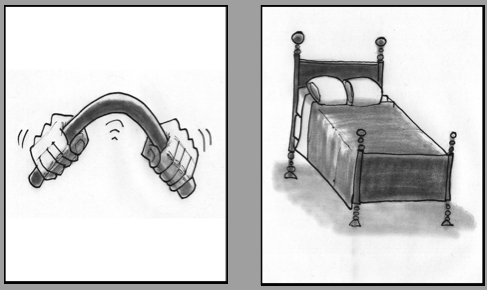 Listeners can use this as soon as it becomes available, not only a large distinction like bend/bed... Your browser does not support the audio element. Your browser does not support the audio element. but also a much more subtle distinction like the difference in nasalization between these two sound files. Can you hear a difference? This first recording has late nasalization starting 100 miliseconds after the [b]. Your browser does not support the audio element. This second recording has early nasalization starting 33 miliseconds after the [b]. Your browser does not support the audio element. 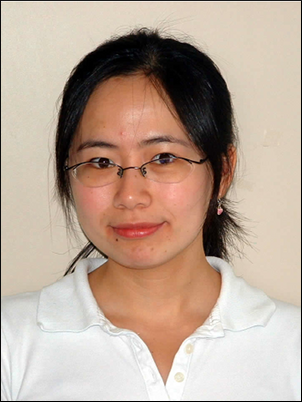 In an eye tracking task we found that listeners can use nasalization as soon as it is present. 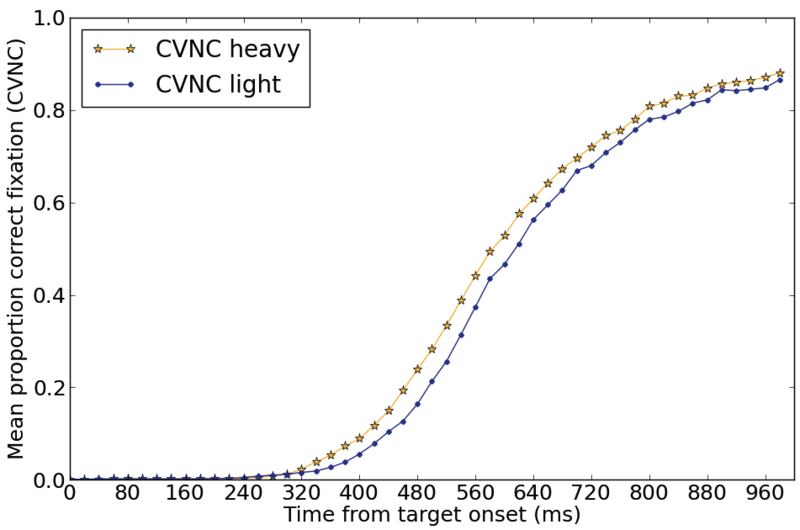 Looks to the heavily-nasalized word were, on average, 60 ms faster —the same average difference between early and late nasalization in the recordings (Beddor, McGowan, Boland, Coetzee, and Brasher, 2013). Whether the information is social, contextual, articulatory, or idiosyncratic, we humans have an astonishing ability to attend to it, remember it, and activate it during perception. 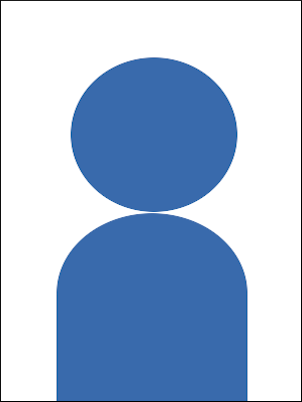 This ability, my research suggests, is not irrelevant to linguistic competence or even peripheral to it, it is fundamentally and centrally part of what it means to know and speak a human language. Thank you for reading! If you have any questions, please contact me via e-mail, twitter, or carrier pigeon. And many, many thanks to my friend Markus Nee for turning me into this cartoon. accurately than when presented with the Caucasian face. low level of experience with Chinese-accented English. 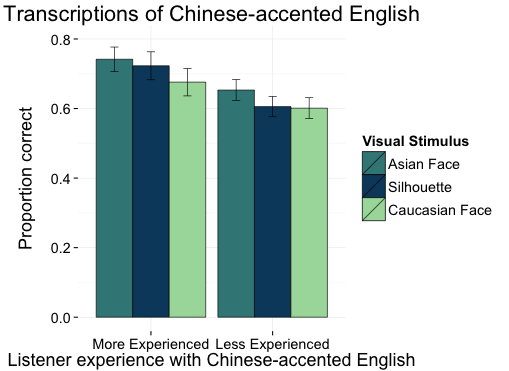 and accents, increasing the amount of variation we face. provides a framework with which we can ask new questions. with late or early onset of anticipatory vowel nasalization.